Make sure you check out the latest episode of the NTTB Podcast. It’s never a do or die game until you are certainly facing elimination with a loss. But this game certainly has the feeling of being a ‘win or go home’ type scenario. After holding a 2.5 game lead over the New Orleans Pelicans just over two weeks ago, the Oklahoma City Thunder have gone on to lose 5 of their last 6 games. Luckily for the Thunder, the Pelicans had their own bad stretch heading into these last two weeks and still find themselves a half game out with a murderer’s row of opponents coming up (Golden State – chasing history, Houston and Memphis – chasing the 2 seed, Phoenix – likely hellbent on being a playoff spoiler). After tonight’s game, three of the Thunder’s last four opponents are all under .500. 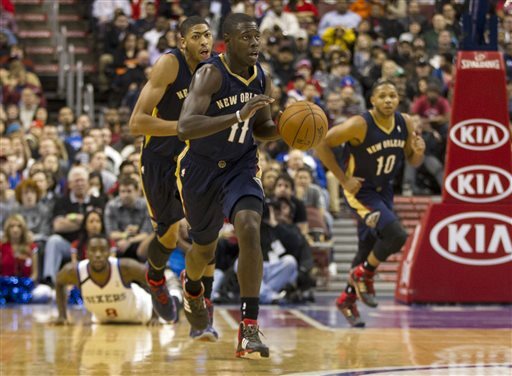 A win tonight, and the Thunder will likely find themselves 1.5 games up on the Pelicans with four to play. This is the third and final meeting of the season between these two rivals. The previous two games were played in San Antonio, with the Thunder taking the Christmas match-up, and the Spurs throttling the Thunder nearly two weeks ago. 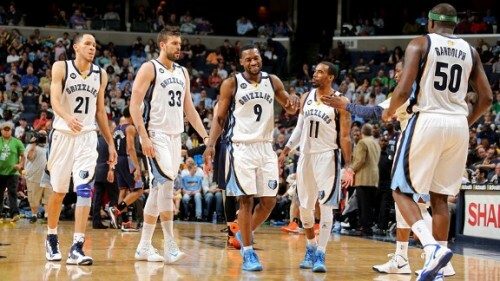 These teams are used to battling it out for Western Conference supremacy, but now find themselves near the bottom of the playoff rankings this season. 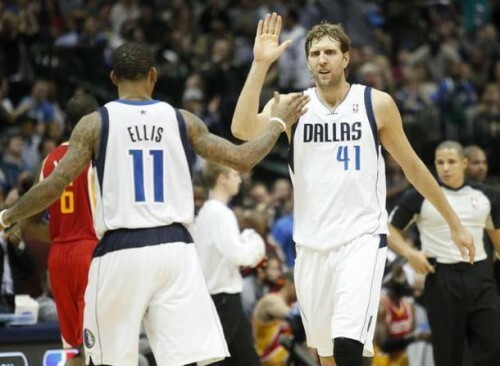 Nevertheless, this game is fraught with narratives and will have an impact on the playoff picture moving forward. The San Antonio Spurs are currently 51-26, sitting in the 6th spot in the Western Conference. 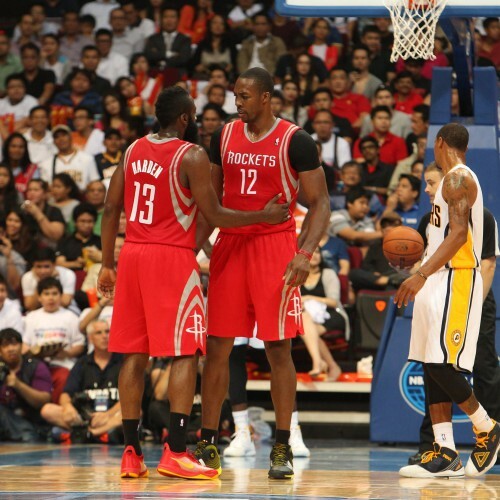 They sit just 2 games back of the Houston Rockets who currently have the No. 2 seed in the West. I’ve learned that there are three guarantees in life: death, taxes, and game of ‘possum the Spurs play every regular season where it seems like they may finally be running out of steam, only to have them Lazarus their season after the All Star break. 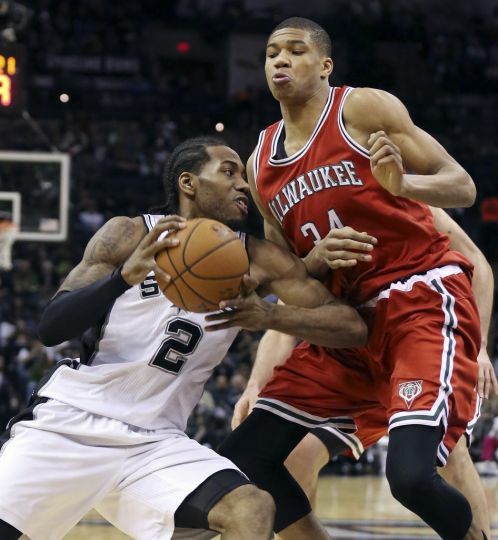 On February 25th, after a loss to the Portland Trailblazers, the Spurs found themselves at 34-23. 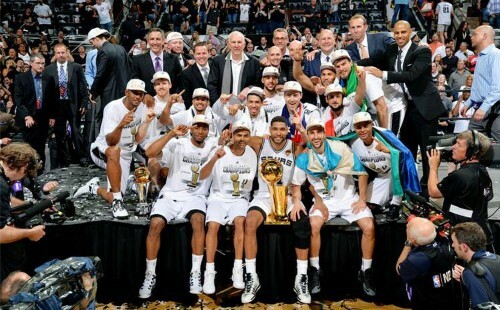 Since then, the Spurs have gone 17-3 and the machine appears to be well-oiled once again. The Spurs attack is fueled by the rejuvenated Tony Parker, who appears to be back to his normal self after struggling with injuries and inconsistencies in the first half of the season. Danny Green and Kawhi Leonard are back to being one of the most dangerous sets of wings in the league. Up front, Tim Duncan is still a double/double threat and does of great job of positioning himself in the correct spot most times down the floor. Tiago Splitter will sit this game out with an injured calf, so look for Boris Diaw or Matt Bonner to get the nod at “center”. Off the bench, Manu Ginobili, Patty Mills, Marco Belinelli, Aron Baynes, and Cory Joseph are all seasoned vets who have played in big moments in the past few seasons. 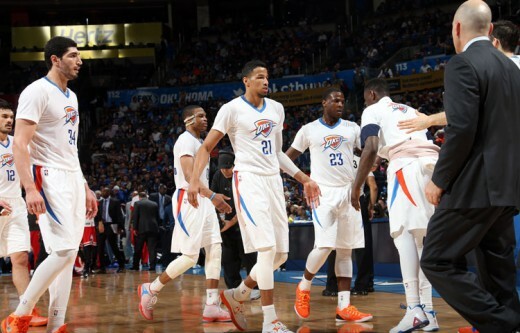 Andre Roberson went through parts of practice on Monday, and may be available for this game. 1. Small Ball – With Splitter out, the Spurs will definitely be featuring either Bonner or Diaw as a stretch 4, to negate the Thunder’s size inside. The good thing is the Thunder can counter with a very efficient small ball line-up of their own, with Morrow and Singler playing the forward spots. 2. Steven Adams – Adams has got to stay away from getting into the foul trouble. 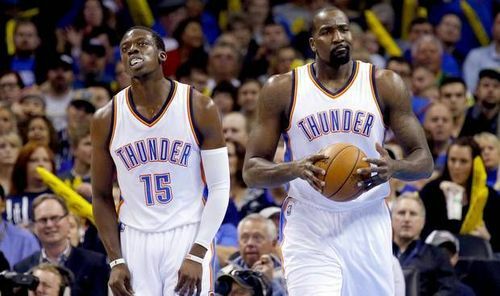 With the Thunder lack of big man depth, Adams has to find a way to stop picking up ticky-tack fouls. I understand when he’s trying to stop someone from getting a basket on their way to the rim. But Adams has to get at least 2-3 loose ball fouls a game on rebound attempts. Cut those in half, and the foul trouble goes away. 3. Late game execution – The Thunder’s last four losses have been by a grand total of 15 points, combined. That’s an average margin of defeat of 3.75 points per game. You make an extra 3-pointer and an extra free throw, and that’s a victory in some of those games. These games are coming down to the decisions in the final few minutes of the game. Without Kevin Durant, Serge Ibaka, and Nick Collison in the closing line-up, the Thunder are having to depend on players that may not be used to the pressures associated with playoff-intensity type basketball. With the onus squarely on the chiseled shoulders of Westbrook, the inexperience of the other players in these situations is started to manifest itself in the form of close losses. Moral victories are still losses in the standings. This has usually been the case in the past four seasons. As the Oklahoma City Thunder approach the end of the season, they usually look up in the standings and see the San Antonio Spurs. And, usually, the NBA is gracious enough to schedule about two OKC vs San Antonio games in the last three weeks of the season. The big difference this season as compared to previous seasons is that the Thunder are the 8th seed and are looking up at the Spurs, who are currently the 6th seed, but only by virtue of percentage points over the Dallas Mavericks. The Spurs have one of the tougher finishing schedules in the league and stand 3.5 games ahead of the Thunder. The 7th and 8th seed in the West may be in contention by these two familiar rivals that are used to battling atop the Western Conference standings. This is the 2nd of 3 meetings this season between these two teams. 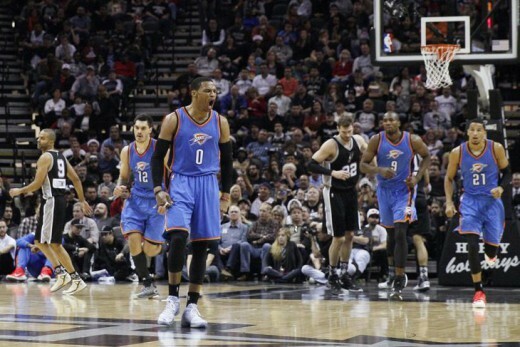 The Thunder beat the Spurs in their only previous meeting on Christmas day, 114-106. In that game, the Thunder outscored the Spurs by 9 points in the 4th quarter, as Russell Westbrook led the team with 34 points and 11 assists. 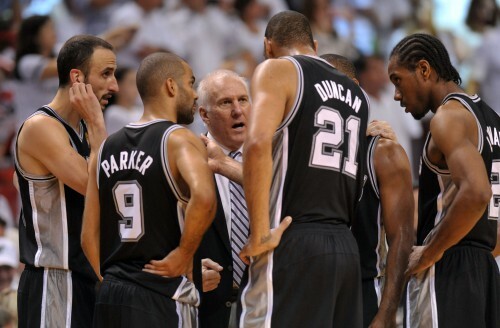 The San Antonio Spurs come into the game with a 44-26 record, good for 6th in the Western Conference. 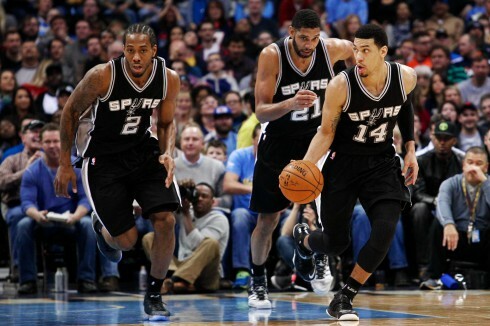 As is usually the case every season, the Spurs seem to be getting healthy at the right time. Kawhi Leonard, Patty Mills, Tiago Splitter, Tony Parker, Manu Ginobili, and Boris Diaw have all had their injury issues throughout this season. But they are all relatively healthy and rearing up for their yearly playoff run. The Spurs are pretty consistent in their stats, ranking 11th in team scoring (102.4 ppg), 5th in assists (24.2 per game), and 9th in opponent scoring per game (97.9 ppg). The offense is, of course, led by Tony Parker, who has looked a lot more like himself in the past month after struggling with injuries previous to that. On the wing, Danny Green is tied for 7th in the league with 2.4 makes per game on almost 41% shooting from deep. And Kawhi Leonard, a lot like Parker, has started to round into form after struggling with injuries for much of the first half of the season. Up front, Tim Duncan and Tiago Splitter continue to be one of the more consistent big men tandems in the league. Off the bench, Patty Mills, Boris Diaw, Marco Belinelli, and Manu Ginobili continue to give the Spurs one of the better benches in the league. 1. Line-up shuffling – With the Thunder’s new Bruise Bros big man tandem, Spurs’ coach Gregg Popovich may look to exploit the lack of mobility of the big men on the perimeter by inserting Diaw or Matt Bonner into the starting line-up. 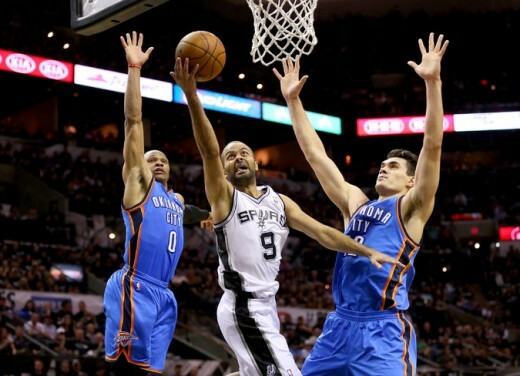 If Popovich sticks with his regular line-up, this may likely be an advantage for the Thunder. 2. Contain penetration – The biggest facilitator of the Spurs’ offense is the penetrating ability of Tony Parker (insert joke here), Manu Ginobili, and Kawhi Leonard. The havoc those three create from getting into the paint leads to the Spurs’ 3-point shooters getting clean looks and to their big men getting open looks as the defending big men have to slide over to stop the dribble penetration. It will be incredibly important for the Thunder defenders to stay in front of these three players throughout the game. 3. 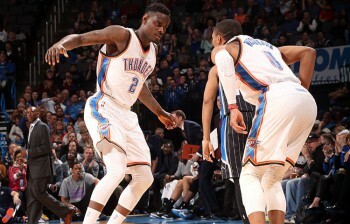 6th or 7th seed up for grabs – The Thunder’s goals this entire season have been to get healthy and make it to the playoffs. While they are still working on the getting healthy part, they hold the playoff positioning part in their hands. Yes, they will need some help, but the 6th seed is a possibility, which is saying something considering how this season started.